If you’re a small business with big online plans, then you may be looking for some tips and strategies as you build your online presence. Here are some ideas that should get your online marketing wheels turning. 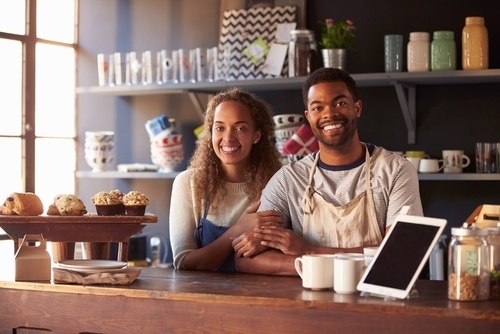 Outbound marketing is often the go-to for small business owners, partly because they don’t have a marketing department to tell them that it is old news. Traditional marketing like print, television ads, and direct mail continue to become less effective as masses of people have stopped paying attention to them. Newspaper subscriptions continue to dwindle, TV viewers can skip through ads on their DVRs and direct mail usually goes straight to the recycle bin. Because customers are now very much in control of how they choose to receive your marketing efforts, it is even more critical to tailor your efforts to meet their needs and desires. Rather than pushing your message out to everyone and hoping it hits a few targets, think about pulling the right people in to join you. With the use of inbound marketing, your company can take advantage of interactive communication that has strong referrals. Customers expect companies to provide them with value in advertising, through information or entertainment that draws them in. And the result is that your small business can bring in a committed crowd of followers, converting them to sales without spending more money. One of the most effective (and often free!) opportunities for drawing in customers is through social media platforms. Facebook, Instagram, Twitter, Snapchat, LinkedIn, and Pinterest all provide platforms for your small business to create an attractive online presence. If you’re just getting started with social media, choose one or two platforms that allows you to best engage with your target customers. Set up an account and start small by sharing original content, connecting with potential customers, posting engaging photos, and joining in on discussions. Be sure that your online presence is helpful, friendly, relevant, and reliable. To increase your social media presence, provide items that are "share-worthy," meaning that these are things your visitors will want their friends to hear about. Visual content like photos or infographics are much more likely to be seen and shared online. The more your content is shared, the more likely your small business is to draw in qualified leads. It might seem a bit overwhelming to feel like you constantly have to compete with the "big guys." But as a small business (whether local or online), you have the opportunity to build a reputation of trust and authority with your visitors. By providing helpful blog content, webinars, well-researched e-books or other freebies to your readers, you establish your business as an authority on your subject. This means that visitors may first come to you simply because they are doing research, but eventually some of them will make it through the funnel of the buyer’s journey and become customers.